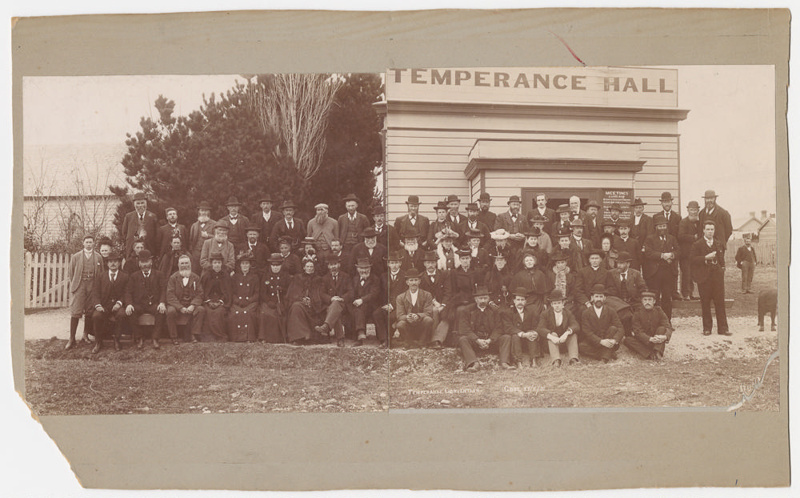 The men and women captured in this 1901 photograph were participants at the Temperance Convention in Gore aiming to bring about the prohibition of the sale of alcohol in the district. Temperance activity in the district began as early as the 1880's after which a great number of groups flourished. They were often referred to as the Blue Ribbon Army. The Temperance Society and their follower's finally achieve their goal when the the prohibition of the sale of alcohol in the Mataura district came into force in 1903.